Tired of failing your New Year’s resolutions? What if I told you the way society goes about New Year’s resolutions is all wrong. Starts them at the wrong time, with the wrong goals. And there is actually a way to accomplish your “New Year’s resolutions” rather simply. The self-improvement sections of the book stores are loaded with books. Why? Because people are in search of real ways to improve their lives. 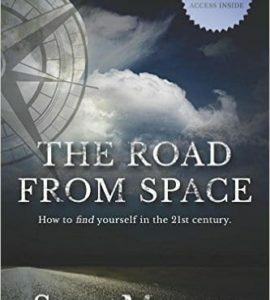 Often these books leave people with some great thoughts, interesting ideas, and no plan or course of action. So maybe you feel good after reading them, but lack the results you’re looking for. I’m a results-oriented person. My Mercury is in Capricorn, and admittedly, if something I read doesn’t have something I can apply to reality, it doesn’t necessarily pique my curiosity. I write most of my work the same way. I want you to be able to apply knowledge and make your life better and greater. Every New Year you get ready to set goals to begin January 1st. Goal setting is an integral part of life. It’s one of the keys to success and self-improvement. So why is it so difficult? Why do 80% of people fail their New Year’s resolutions? 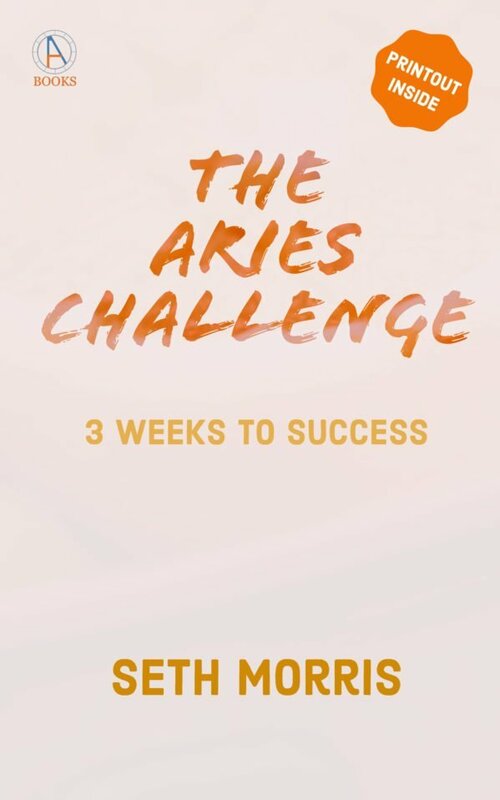 I show you how and why in The Aries Challenge. There isn’t some magic pill or trick, but rather a calendar shift in time and mindset. Using some very straight forward astrological principles and changes to the calendar. The answer is amazingly simple. It will require goal setting and that’s why I provide a goal setting schedule inside. Because it’s very straightforward and simple, but not necessarily easy. Follow the schedule to reap the full rewards. 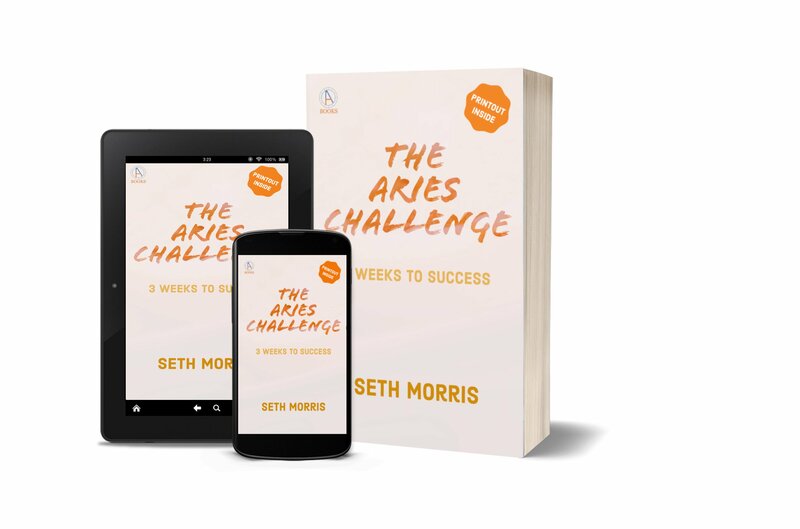 This works and is an effective way to develop and form new habits that will propel you to success. Why? Because I’ve done it myself after years of testing. I’ve used this as a successful self-improvement tool for a while now. So it works, it will work for you too. To use these astrological principles and implement them. The astrology of it is important, whether you are an astrology novice or adept, you will understand the “how.” I make it plain for all readers. You will learn about some astrology if you don’t know about it, and if you do, you’ll learn something new. To start your regimen for maximum success. Timing is everything and this is no different. Find out when to get ready for lift-off for this to work at its maximum. Printable schedule / goal setting worksheet, Tips, Hacks, and more. 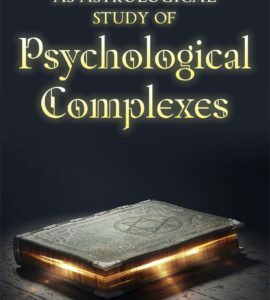 Free lifetime book updates through your Astrochologist.com account.